Nainoa Thompson remembers watching Hokule’a depart Honolua Bay for Tahiti on May 1, 1976. He was in his 20s and didn’t realize what it meant at the time. But he knew there was “clearly a lot of fear” surrounding the canoe’s first long-distance voyage. 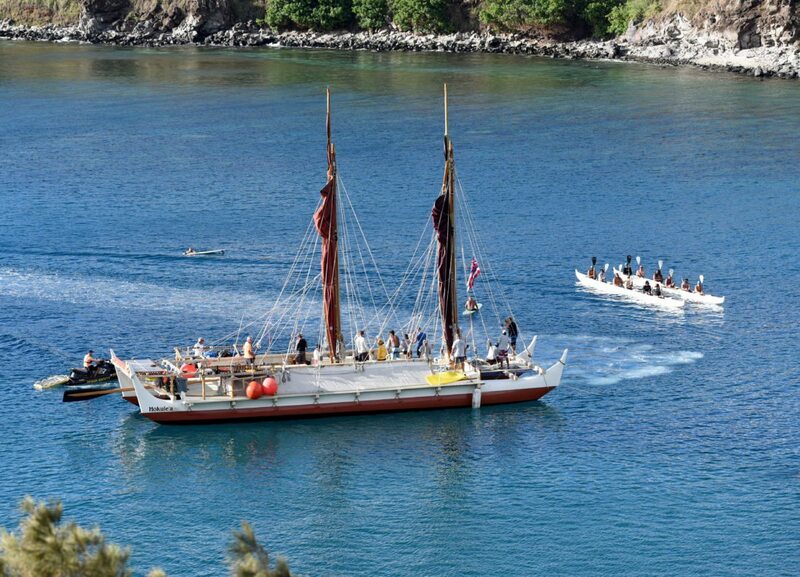 Forty-one years later, Hokule’a returned to Honolua Bay, this time as a seasoned vessel celebrated for its revival of traditional voyaging practices, and Thompson as the face of the movement. Dozens of people gathered on the bluffs above the bay Thursday afternoon to watch the canoe return to the bay where it all began. Honolua is the first of more than 40 ports and nearly 80 communities that Hokule’a’s crew plans to visit on the vessel’s Mahalo Hawaii Sail, following a three-year journey around the globe. 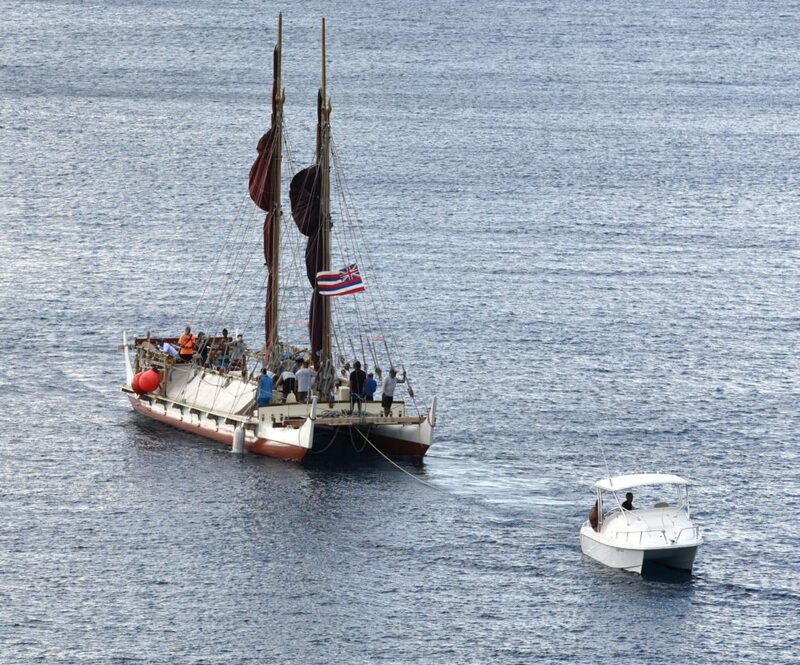 Thompson, president of the Polynesian Voyaging Society, said the mahalo sail is not only to thank people, “but also to reconnect” with the canoe’s roots. He added that there was a reason Honolua was chosen as the starting point in 1976. He just doesn’t know it. On that first voyage, the crew asked traditional Micronesian navigator Mau Piailug to help guide the canoe to Tahiti. Ben Finney, a founder and first president of the Polynesian Voyaging Society, wrote in his account of the journey that “the voyage went as planned,” despite a week in the doldrums, and strong headwinds below the equator “that for a time threatened to drive the canoe to the west of Tahiti.” After 30 days, Hokule’a reached Tahiti and was greeted by thousands of enthusiastic islanders. Thompson flew to Tahiti to join the canoe on the leg back. “To be quite honest, I was pretty overwhelmed by fear,” Thompson said. Wally Froiseth, a big wave rider who was in Tahiti to repair the canoe, heard Thompson talking about quitting. 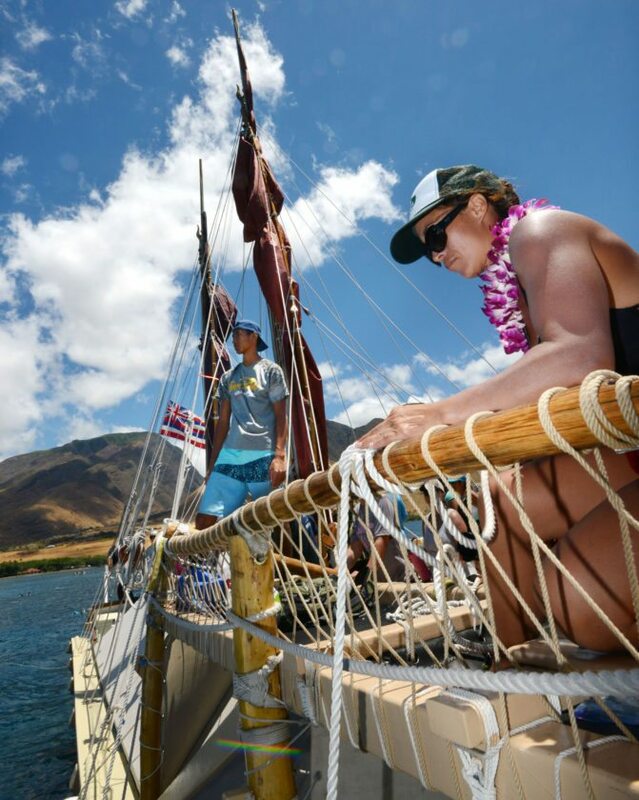 Hokule’a has gone on dozens of journeys and traveled thousands of miles since then. Before mooring at Honolua, the canoe stopped at Olowalu to celebrate the designation of the reef as a Mission Blue Hope Spot – the first of its kind in Hawaii. 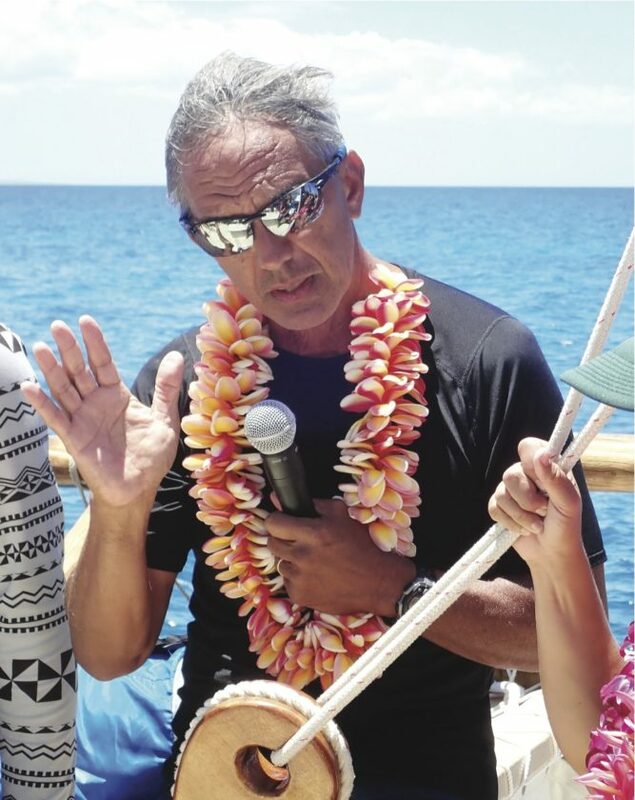 “With this, we hope that we can continue to build community awareness around the world about our mother coral, and bring more attention to climate change and sea level rise and the impacts that land use is having on our reef,” Tiare Lawrence of Malama Olowalu said aboard Hokule’a on Thursday. 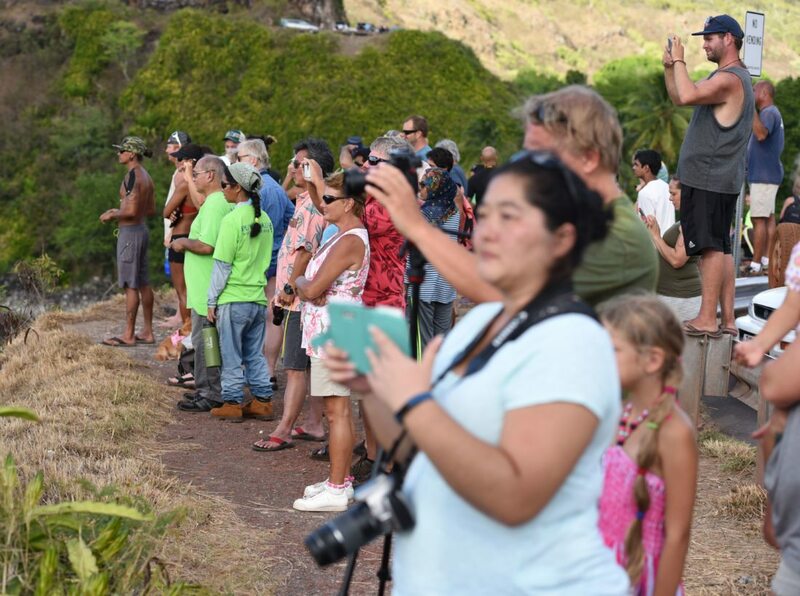 As they watched Hokule’a arrive at Honolua, Maui residents talked about the environmental struggles facing Maui and how they hoped Hokule’a could help. 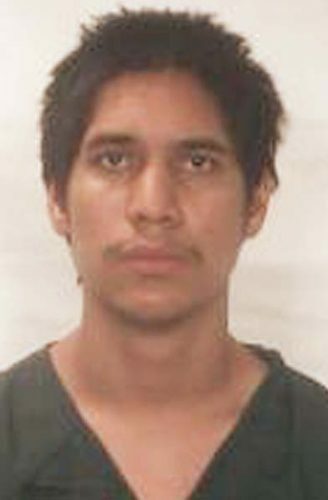 Lahaina resident Davin Balagso, 33, grew up fishing and diving on the island and said he’s seen the reefs decline and the fish disappear over the years. It makes Hokule’a’s message of “malama honua” as relevant as ever. Daniel San Miguel, a 58-year-old systems engineer with Maui Land & Pineapple Co., was looking forward to the 1,000 koa tree planting scheduled for the weekend. Hokule’a and Hikianalia crew members planned to join ML&P, the state Department of Land and Natural Resources, The Nature Conservancy of Hawaii and Kamehameha Schools to carry native plant seedlings into the Pu’u Kukui Watershed Preserve. Lahaina resident and longtime Hokule’a crew member Archie Kalepa said he believed times were changing and that Hawaii is “at a very good place and a very good time” to be addressing its conservation needs. 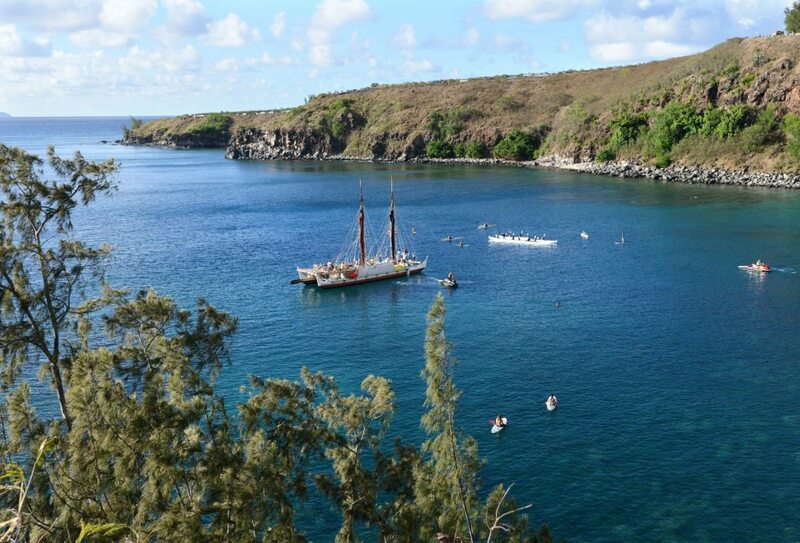 Hokule’a will spend the weekend at Honolua before heading to Oahu and Kauai. In October, Hokule’a will visit Hana, followed by stops in South Maui, Molokai and Lanai in November. A cultural welcome will be held for Hokule’a at Honolua from 8 to 8:30 a.m. Saturday. The public can visit the voyaging canoe in the bay 2 to 5 p.m. Saturday and 8 a.m .to 5 p.m. Sunday. As the program coordinator for Imua Family Services’ Dream Imua, Rainelle Lushina brings dreams to life.